Laser hair replacement is now one of the more innovative and recent technologies being used for the treatment of hair loss. It is currently being viewed as a very effective hair replacement technique. When it is used during the replacement process along with taking Propecia or applying Rogaine, it is producing some outstanding results for the individual who employs either of these methods. 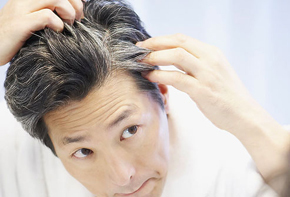 In some instances, loss stoppage as well as pronounced re-growth of thicker hair has been documented. Currently, there are different types of this hair replacement procedure available in the market today. When you are consulting with your replacement surgeon, they are going to be able to accurately determine which these methods will best target your personal needs. The following is a list of information that will educate you as to the different laser methods or techniques that you currently have to choose from. Laser Combs – the laser comb is a device that you can employ at home for hair replacement therapy. Your hair loss specialist or surgeon may recommend this along with the in-office replacement procedures that are performed. When the device is brushed through the hair and over the scalp, additional therapy is applied to enhance your results that you achieved at the surgeon’s office. Always consult with your hair replacement surgeon for any recommendations as there are a number of these types of products now available. One of the more effective laser hair replacement techniques currently available which promotes up to 70% re-growth in many cases is the Laser Luce LDS 100. The procedure is performed while your head is placed in a dome-shaped device that accommodates your head’s shape. Intermittently flashing laser lights line the dome and they operate at low energy levels. This low energy laser light is absorbed by the scalp and then stimulates the deeper tissue and the blood supply to the balding areas. Several of these treatments may be necessary in order to achieve optimum results. The LLLT or Low-Level Laser Therapy is a general term that describes any type of laser phototherapy or treatment that does not cut into the skin. It has also been referred to as a low-power, “soft”, or therapeutic laser and has proven to be effective in improving the hair follicle health while stimulating the hair replacement process. On an interesting side note, the underlying principles of this process are very similar to those employed with pain reduction, tissue healing, and wound healing.